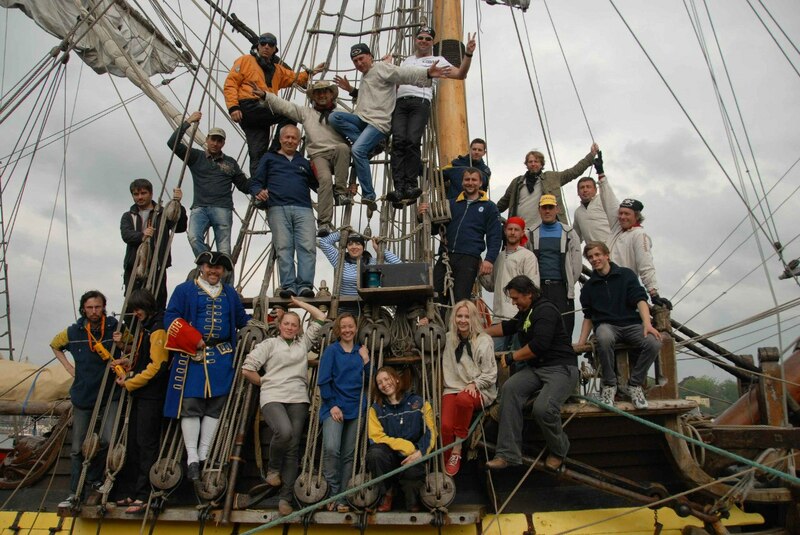 Should we even mention that the Netherlands are special for the crew of the first Peter the Great's frigate? We've seen it far and wide, found the most beautiful and fascinating places and now we're inviting you to join us there for seamanship studies. The leg start in the small town of Harlingen and covers 350 nautical miles, that include not only calm inland waters behind the locks but also the North Sea passage, that may mean some rough weather. A week ahead we are expected in Le Havre, so we don't have much spare time. As always the exact itinerary depends on the weather forecast. If we decide on inland waterways, we pass the locks to the lakes Ijselmeer and Markermeer. There is no tides and Shtandart will sail along the coast with lots of small Netherlands towns such as Makkum where modern super-yachts are built, Enkhuizen – an unbelievably beautiful place with a historical settlement-museum and Lelystad with its' historical tall ship Batavia. We leave the inland waters using the canal that goes through the city center of Amsterdam, make a passage over the North Sea, that might welcome us with some swell, and cross the Strait of Dover, the narrowest spot of the English Channel. The trip from Harlingen to Le Havre is going to be very diverse, with plenty of beautiful views and new experiences. You are going to gain basic navigation skills, learn to handle a large sailing vessel and become a proficient teamplayer. Not only that, you'll make lots of friends and fit in our merry seafaring life like a glove. You'll get to see the common Dutchman life away from busy touristy Amsterdam, enter the small towns from the sea like ancient travelers did for centuries, and of course taste the unyielding character of the North Sea. 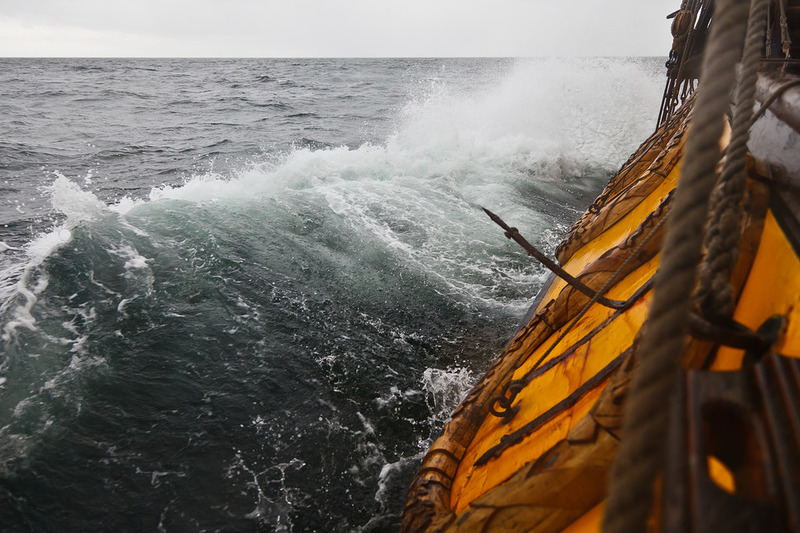 Don't be scared, nothing in the world is better than a light swell, white caps hitting the topsides, dishes flying in the galley and pots and pans running away from the stove. The leg ends up in Le Havre, France just in time for 500-year city anniversary celebration and the Rendevouz 2017 Tall Ships Regatta finish. A fleet of tall ships is coming here after the Transatlantic Race from Halifax, Canada. You can't miss this event! And our crew will make this experience equally exciting for you afloat and ashore, leaving you with an urge to come back aboard Shtandart over and over again.